I’ve never cooked Korean food and I’ll be honest, so far the Korean markets really have been confusing to me. So I decided to take a cooking class (which included a tour to a Korean market) to try and learn some tips and tricks to making my favorite Korean dishes. 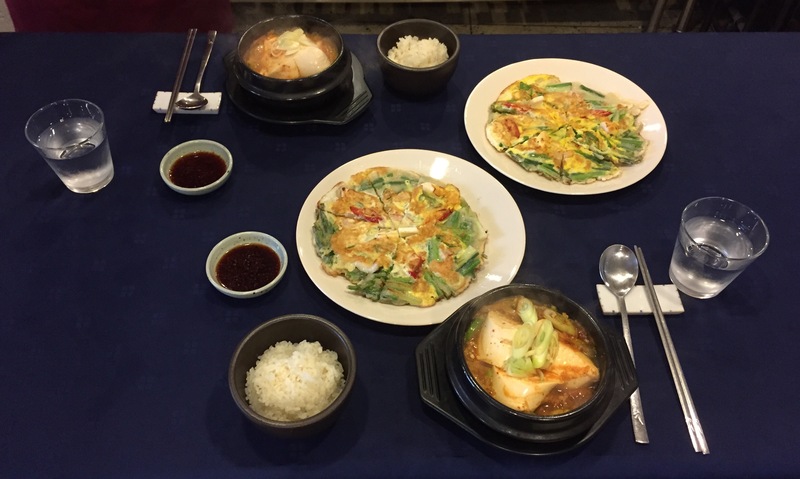 After looking online, O’ngo Food Communications was a clear winner and I signed up for the Soondubu Jjigae and Seafood Pajeon class. 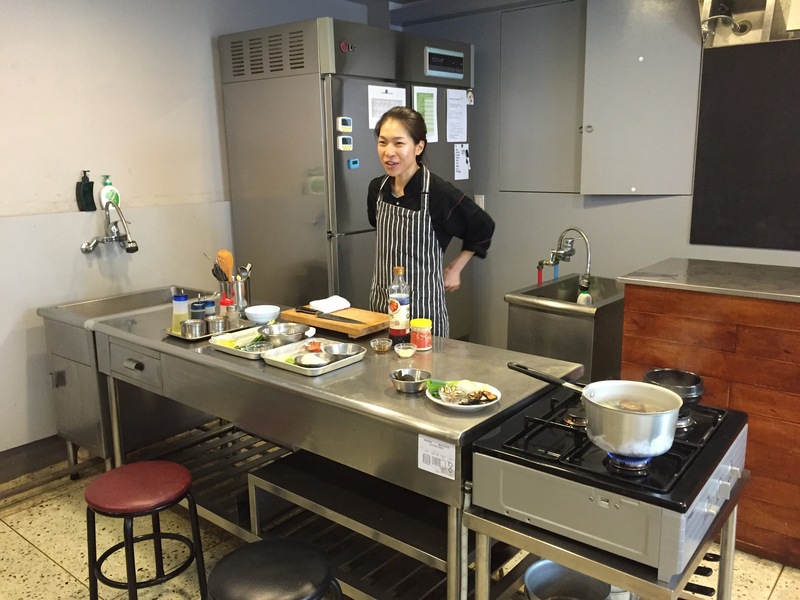 O’ngo has great trip advisor ratings and people living in Korea and tourists all take advantage of their classes. 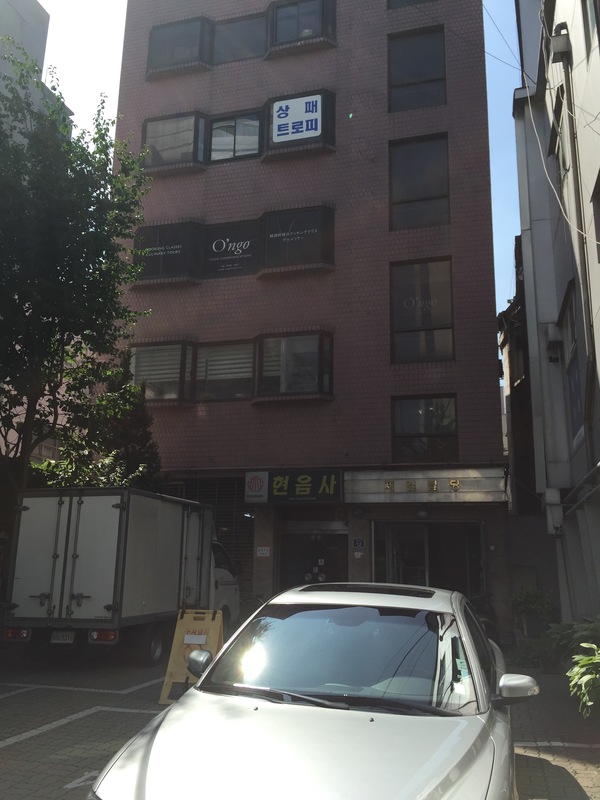 Take the subway to Jongno-3gil station and walk to exit #5 (which is located on the orange line portion of the station). 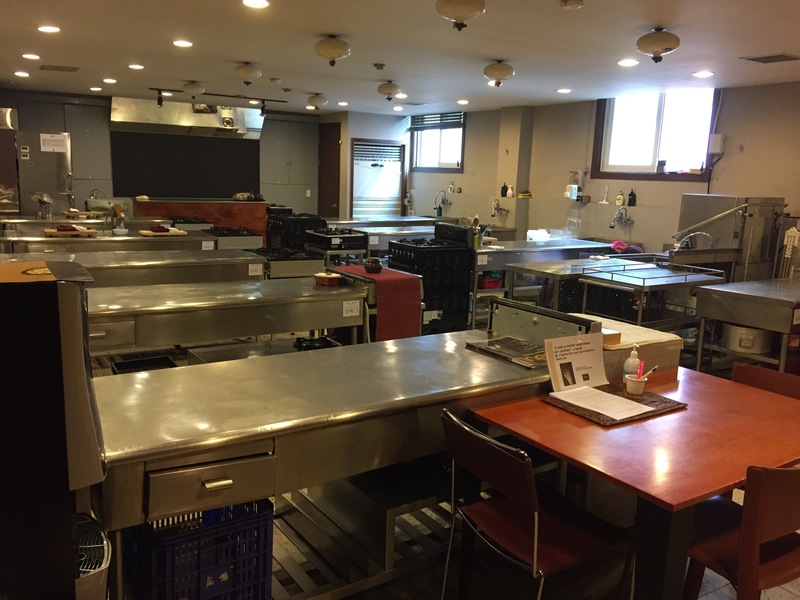 O’ngo has a large kitchen and all the equipment you could need to make some tasty dishes. We arrived early so that we could take advantage of the Market Tour. They took us to a hidden underground market nearby where we were able to see some of the ingredients of typical Korean cooking and some novelty items, like a whole pigs head!! The tour was definitely a fun little addition to the cooking class. Then we headed back to the kitchen to get started. 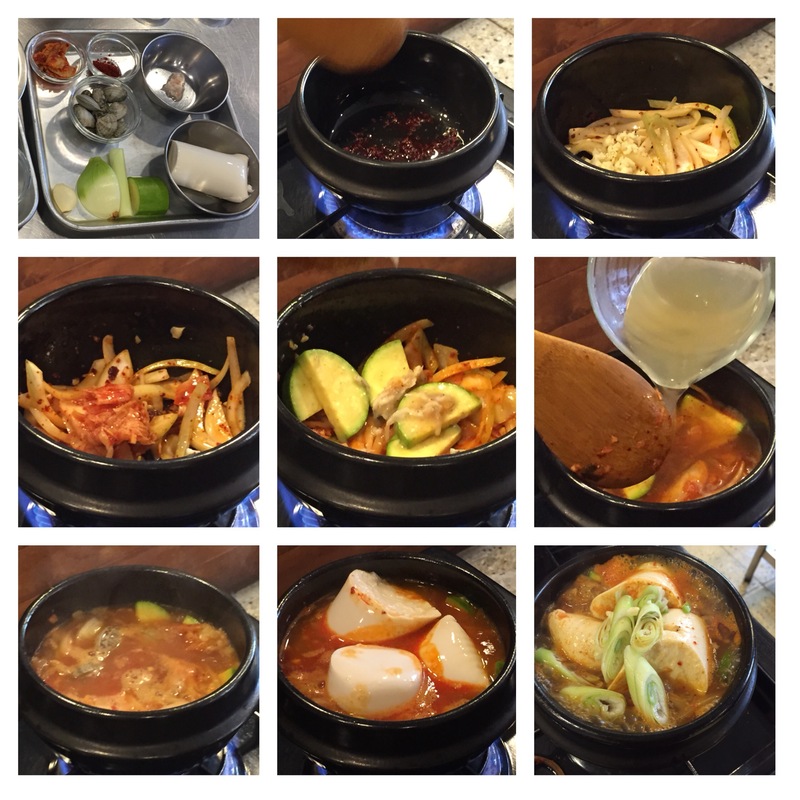 Soondubu JJigae is a Seafood Tofu Stew. 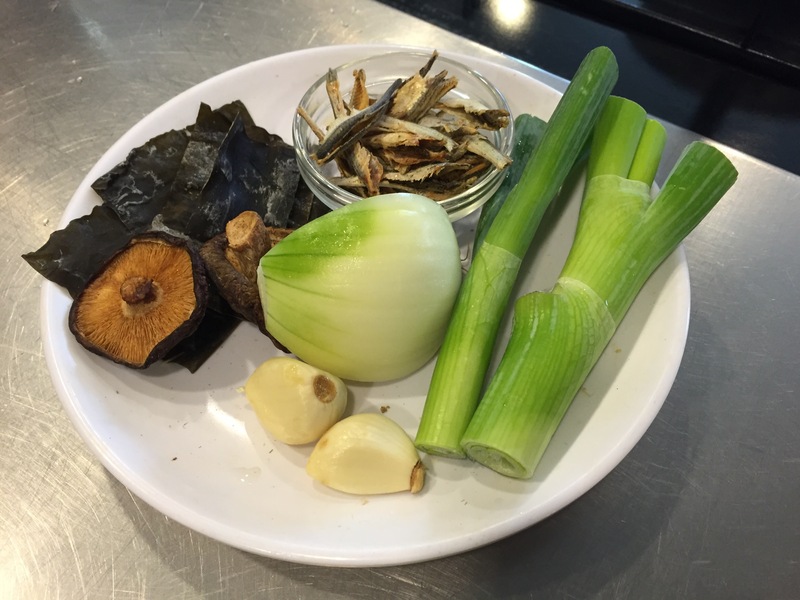 They started out by showing us how to make the base for the stew, which is an Anchovy Stock. 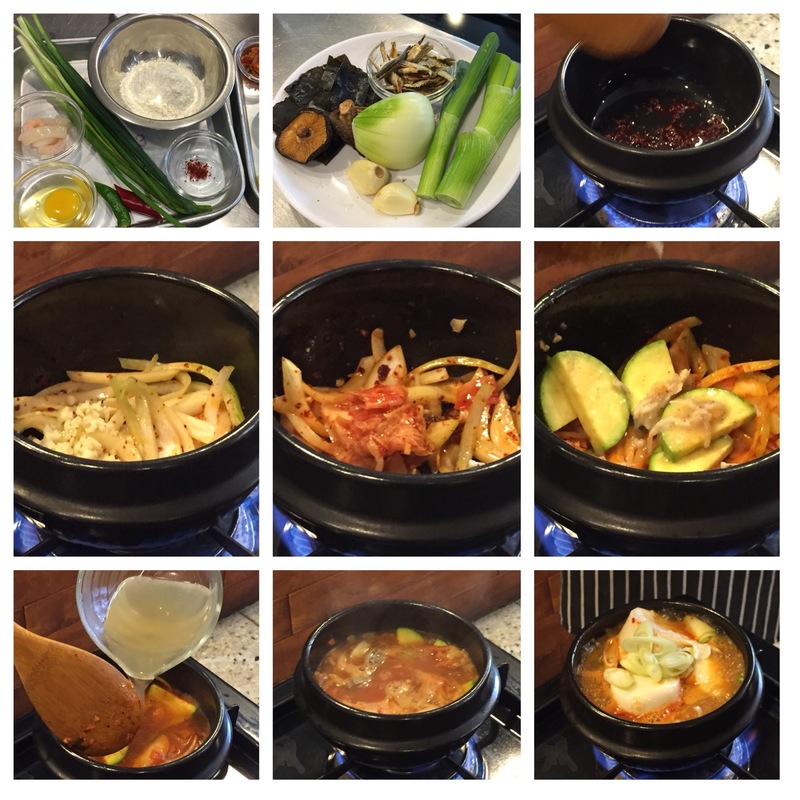 While the stock was simmering, we started prepping the remaining ingredients for our Soondubu Jjigae. Finally we were able to put our stone pot directly onto the burner and started making our chili oil, then cooked our aromatics, added our anchovy stock, and added our clams and tofu. We left our Soondubu to simmer and started working on our Seafood Pancake. The batter was super easy, just flour, corn starch, and cold water (or broth). We got our pan nice and hot and put the batter in and added our toppings and topped it off with an egg. The pancake was super crispy and tasted great! Here are our final creations. It all looked like we knew what we were doing and everything tasted scrumptious! This was a beginner course and the cost was 65,000 won. We thought that for what we got it was very reasonable. Also I liked that their recipes were simple and they tried to provide us with very authentic food. The staff spoke very good english and they were eager to help. They even helped snap a few photos for us. We will be back to try another class!